Recently Design & Motion published its first app to the Autodesk App Store. 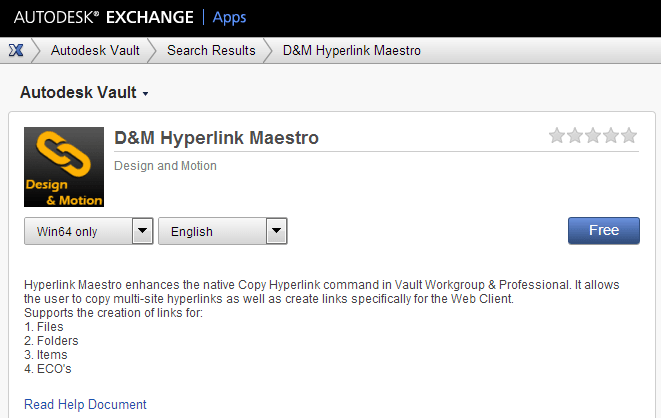 Thanks to the efforts and kindness of Autodesk’s Doug Redmond, as well as our own Scott Moyse and Gavin Bath, we’ve released D&M Hyperlink Maestro. We’ve even got a YouTube video so you can check it out first. The application is free, so Vault users give it a try.